Anna Lee and Wilbur C. in their courting days. This photograph was taken at the Zollicoffer Municipal Park on the Hilham Highway outside of Livingston. In the background is the boat rental building for Zollicoffer Park. Wilbur C. was born on May 7, 1920 in the Oakley community of Overton County. His parents were Floyd Smith and Ida Mae Smith, and he was their only son. There were two daughters, Louetta Cobb and Aqulla Massey, and later on, a half sister and brother, Ina Dean England and Ilon D. Smith. Wilbur’s mother died when he was only nine years old, and sometime later, his father remarried Angie Conner. Wilbur attended various schools, including Lone Maple, Jay Bird, Ozone, and Independence. He stayed in the fifth grade for three years, but not because he wasn’t a good student, but because of a little bit of an untruth he told due to the fact that he wanted to be in the classroom with his friends and cousins. On one occasion, Wilbur actually quit going to school at Ozone because he was disciplined by one of the teachers, something that upset him greatly. In spite of the extra time spent in grade school, Wilbur did graduate from Livingston Academy at the age of 21 years. In the early 1950's, Wilbur received a BS degree from Tennessee Tech, and later in 1972, obtained an MA degree. Anna Lee was born on August 3, 1922, into the family of Johnie Beaty and wife Bernice Taylor Beaty. She was the oldest child of four children, two sisters, Ilene McDonald, Elwanda Waller, and one brother, Willie Beaty. When Anna Lee was only seven years old, her mother passed away which left her to help with the rearing of her younger sisters and brother. She attended grade school at Bethsaida, and began high school at Byrdstown, but after only one week, transferred to Livingston Academy because she thought she might have a better chance of making the basketball team. Anna Lee was a member of the 1942 graduating class at LA, and sometime later, attended Livingston Area Vocational School. Anna Lee was known as somewhat of a Tom-Boy growing up. The chore Anna Lee least liked around the house was dishwashing, and how much she disliked the job was proven on one occasion when the dishes were put back in the cupboard without having ever been placed in the dishpan first. The first time Wilbur C. saw Anna Lee is a time he can still recall very plainly. She was playing basketball on an outside court at Bethsaida in striped pants and she was barefooted. He was known to have made the remark that Anna Lee was the prettiest girl he ever saw, but the feature that appealed to him most was her pretty legs. From that day on, he walked to Bethsaida every opportunity possible to court that lovely barefoot girl who caught his eye. The first time Wilbur C. officially called on the Beaty residence with the intent to court Anna Lee, he was not expected. He had walked nearly 12 miles to get there, and it was nearly dark when he arrived. Since he was not expected, a light supper was served that night consisting of bread and buttermilk. Because it was so late when he got to the Beaty house, rather than walk back home that long distance in the dark, he had to spend the night.The first day Anna Lee and Wilbur C. attended high school, Anna Lee asked Wilbur C. to borrow his knife so she could sharpen her pencil. Sometime later, during a literature class in high school, Wilbur C. was required to memorize a poem by Edgar Allan Poe entitled "Annabel Lee." Anna Lee help him memorize the poem, and while practicing saying it with her, Wilbur dropped the "Bell" from the name and would recite it as Anna Lee. When it came his turn in class to get up and recite the poem, he forgot to include the "Bell" then too, which broke up the entire class with laughter and embarrassed Anna Lee greatly. After graduating from high school, Wilbur C. and some of his friends were sitting around Celina awaiting a job offer of some kind or other, when a fellow came by and offered to give them a job without telling any of them what they would be doing. Since employment opportunities were pretty scarce then, Wilbur C. jumped at the chance to earn some money. Off they went to Willow Grove and the job turned out to be digging up a fellow named "Charlie" who had been buried there. 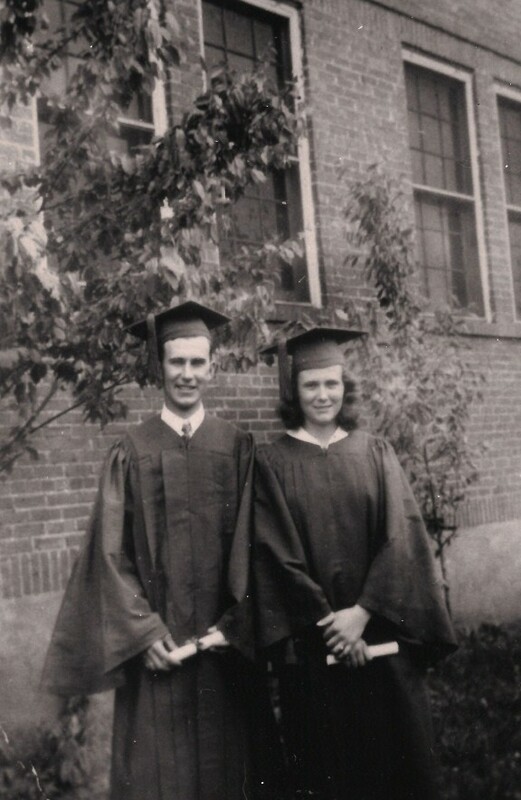 Anna Lee and Wilbur C. were both graduating members of the 1942 Class at Livingston Academy. 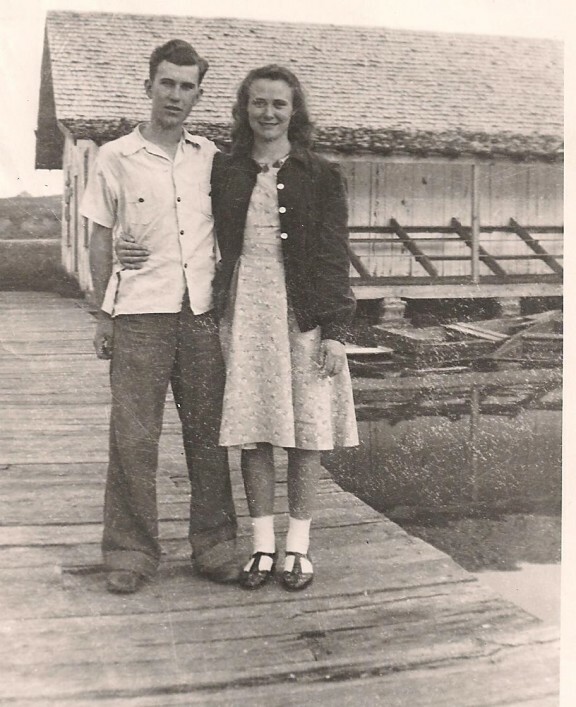 After three years, two months, and eighteen days spent courting each other, on July 20, 1942, a wedding ceremony was performed in the home Ras Vaughn, a minister in Livingston, uniting Wilbur C. Smith and Anna Lee Beaty in holy matrimony. An indication of how much the young couple had in common was the fact that on their wedding day, they each weighed 134 pounds. Their first night together was spent at the home of Wilbur’s father and step-mother. Supper that night consisted of mixed green beans and butterbeans with cornbread and wedding cake. As the years went by, three daughters, Justine, Winola, and Marvena, were added to the Smith family, and upon the birth of their son, Merl, Wilbur C. was seen and heard by the neighbors running up and down the road shouting "It’s a boy! It’s a boy!" Wilbur’s first teaching job was at Summer Shade school where he taught all eight grades. In 1951, several schools in the area were consolidated including Ozone, Free Communion, Unity, Summer Shade and Lone Maple. Thus began the rewarding coaching career that witnessed three teams from Independence Elementary School victorious in the State Tournament. Sometimes things didn’t always go too smoothly during a demanding basketball season. A good example of this was the time Anna Lee and two of the children came down the mumps at the same time. Wilbur had a game scheduled and was torn between leaving his very sick wife and children and a basketball team that needed him as well. To make matters even worse, just as the basketball bus arrived to pick Wilbur up for the game, the bed Anna Lee was in fell. There was no time to make the necessary repairs to the bed, and as a result, Anna Lee had to wait until around midnight that night when Wilbur got home from the game. When Wilbur was only around the age of 35 years, a few gray hairs began to make an appearance, and worried that this might add some additional years to his appearance, Wilbur tried to talk Anna Lee into putting a rinse on his hair. At first, she wouldn’t agree to do it, but after a while, she gave in, and one Sunday afternoon carried out Wilbur’s request. Much to their dismay, it didn’t work as expected. Instead of covering up those gray hairs with a color close to Wilbur’s natural shade of hair, the rinse turned his hair bright blue. They spent the rest of the afternoon washing and rewashing his hair until finally, the dye was washed away. The score keeping system was truly a unique one at Independence before more up to date methods came along. With no electric scoreboard in existence for most grade schools, a blackboard that was above the goal was used. That required the scorekeeper to lay on a board at the back of the goal. When each team scored, that person would raise up long enough to mark the points on the blackboard. On one occasion, Wilbur was accused of having his scorekeeper put his foot over the goal to keep the team he was playing from scoring. Once during a game with Dry Valley, Wilbur’s team lost was a score of 27 to 25, and this was probably about the last time this particular type of score keeping was used at Independence. Wilbur left that score on the blackboard for sometime after the game as a reminder of that particular loss. In another game, Johnny Harris was the only one to score 2 points during the entire game. It has been said that game was the worst beating Wilbur had in all his career of coaching. Members of the 1953-54 State Invitational Tournament team for Independence were: Willie D. Reagan; Fred Reeder; Kenneth Wilborn; Jack Taylor; Joe Reagan; Jesse Smith; Harold Sells; Cricket Holman; Robert Stover; and Jerry Maynard. Members of the 1955-56 winning State Invitational Tournament team were: James Smith; Billy Ledbetter; Willie D. Dial; Richard Stover; Joe Stover; Randall Stoops; Byrl Mullins; Robert Sells; Henry Sells; and Jim Jolly. Winning team members of the State Invitational Tournament on the 1957-58 team members were: Roy Hugh Melton; Joe Stover; Randall Stoops; Kendrick Melton; E.B. Richardson; Royce Harris; Leon Reeder; and Jack Conner. In 1968, Wilbur accepted a position in the Central office of the Overton County Board of Education and left behind his days of coaching and the responsibilities of being a grade school principal. After working at the shirt factory in Livingston while the children were small, Anna Lee began work as an aid at the Pleasant Valley school. Later, she was employed as school secretary at Independence Elementary. Her job was one with lots of details, including bookkeeping that required everything balance out down to the last penny. She was a great asset to those principals, teachers, and parents she worked with over the course of her years at Independence. The Better Homemakers Home Demonstration Club of Independence and Taylors Crossroads was an organization Anna Lee was very much involved in also. Since retiring from the ranks of the employed, the Smiths have continued to grow a large garden, each spring and summer season usually several gardens in fact. Their choice tomatoes are sought out by folks who buy home grown vegetables at the Farmers Market in Livingston. They have also had a booth on Saturdays at the Crossville Flea Market where Wilbur C. says they’ve peddled their "junk." The Highway 127 sale is another place they’ve sold items. In 1988, Wilbur C. began a writing career with the Livingston Enterprise. The first column he had was entitled "Remembering The Forgotten," and was one that included interviews he did with World War I veterans. Later he began a second column entitled "Just Reminiscing," a very popular and well read addition to that same newspaper. His book entitled "Wilbur’s Tales" has sold over 1,100 copies. While most of their lives have been blessed and very happy, the Smiths have also had their share of heartache. Their oldest daughter, Justine, died in 1994 at 51 years of age from ALS. Justine’s son, Gregory Hunley, died a few years later from a brain tumor. He was only 38 years old. The Smith family now includes six grandchildren and eight great-grandchildren. Church has always played a very important part in their lives. Wilbur C. says he does not consider himself a preacher, but he has often been asked to hold a funeral or to baptize individuals. It isn’t possible to put into words how very much Wilbur C. helped and influenced the many students he came in contact with over the years. The lives he touched and made better by excellent teaching skills and positive influence in the classroom cannot be measured. A trend was begun under Wilbur’s leadership abilities that helped place Independence at the top of the list as a school where the very best grade school education could be had. Test results over the years have proven this to be true. Asking most any Livingston Elementary student from the period of the late 50's and 60's who their biggest rival was, not only in basketball but in scholastics also, and the reply will come back nine times out of ten as Independence. Wilbur’s students were encouraged not only to become great basketball players, but to make the very best grades in school too. Many times the very fact that Wilbur had a student playing basketball gave that person a reason to stay in school and complete an education. On October 25, 1982, the Independence Parent-Teachers Organization paid tribute to the Smiths with a "This Is Your Life" program. Drue Huffines served as narrator during that special evening. The gymnasium at Independence was packed with former students, friends, neighbors, members of the school system and Board of Education who attended. Guests were called to the platform to reminisce about happy memories, and often the entire gym rocked with laughter as amusing incidents about the Smiths were shared. 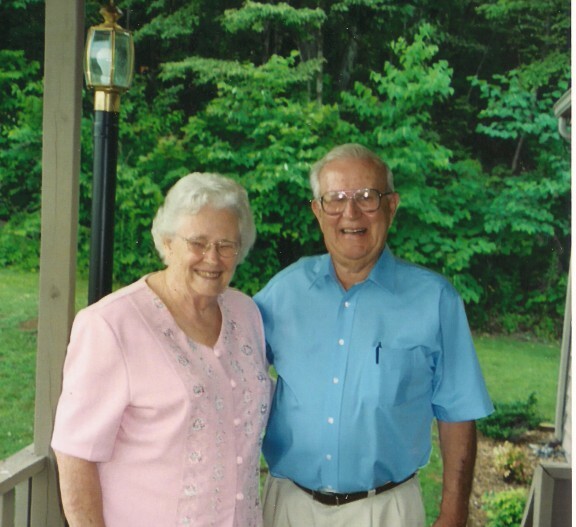 Even though several years have passed since their retirement, both Wilbur C. and Anna Lee continue to remain highly respected and very well thought of individuals in not only the community where they reside, but in all of Overton and the surrounding counties. I am very happy to be included in the very large circle of those who count it a privilege to call both Wilbur C. and Anna Lee friends.